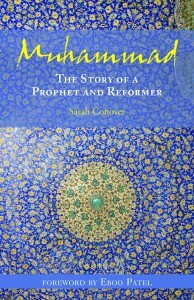 From Sarah Conover, co-author of the acclaimed Ayat Jamilah, Beautiful Signs: A Treasury of Islamic Wisdom for Children and Parents, comes a beautiful new book about Muhammad, revered by Muslims as the Messenger of God. With ornamental art. For ages 12 and older. Please type '518' into this field.